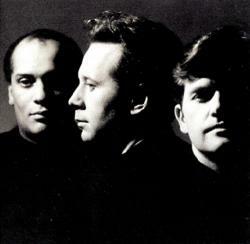 Simple Minds are a Scottish rock band formed in 1977. They achieved commercial success in the early 1980s and, despite various personnel changes, continue to record and tour. The band scored a string of hit singles, and are best known internationally for their 1985 hit "Don't You (Forget About Me)" (UK No. 7, US No. 1, CAN #1), from the soundtrack of the John Hughes film The Breakfast Club. Their other more prominent hits include "Alive and Kicking" (UK No. 7, US No. 3, CAN #3) and "Belfast Child" (UK #1). In 1986, the band was nominated for the Brit Award for Best British Group. The core of the band is the two remaining founding members � Jim Kerr (vocals, songwriting) and Charlie Burchill (guitars, keyboards after 1990, other instruments, songwriting). The other current band members are Andy Gillespie (keyboards), drummer Mel Gaynor (who first joined the band in 1982) and Ged Grimes (bass guitar). Former members include bass guitarist Derek Forbes, drummer Brian McGee, and keyboardist Mick MacNeil. 2019 / one for yes, two for no. 99.2%.